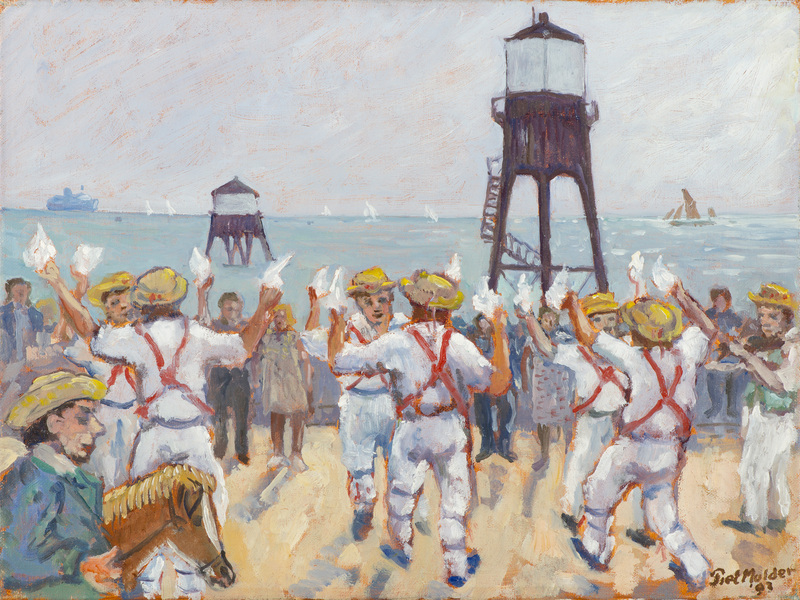 This summer an exhibition of Piet Mulder’s paintings of Harwich and Dovercourt was on show in the famous High Lighthouse in the old town of Harwich (UK). It started as part of the Harwich Festival of The Arts 2015 but went on till 2 august. 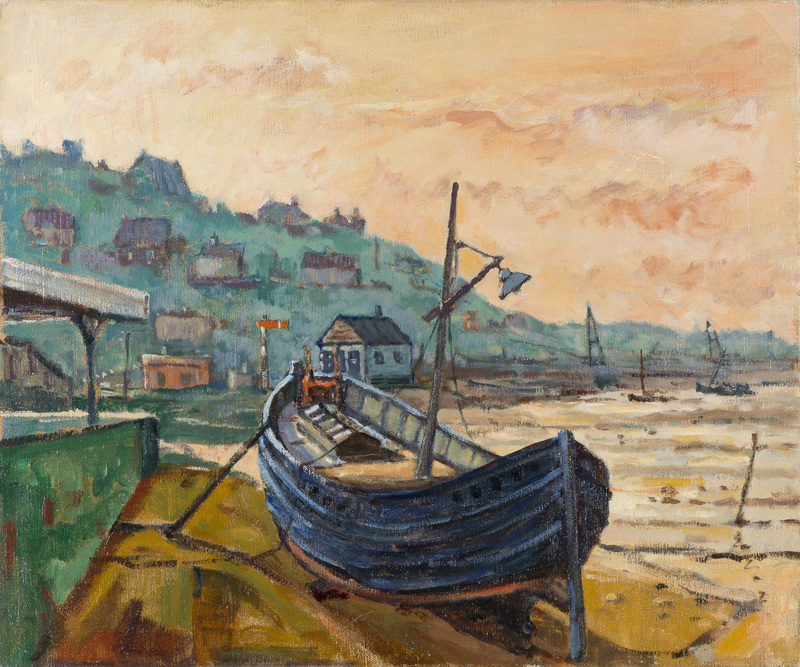 In an article on his website Piet Mulder’s son Reinjan Mulder, an artist and critic himself, is wondering why his father (1919-2001) decided in 1976 to buy a studio in Dovercourt (Harwich), where he worked for more than 25 years. For a short biography of Piet Mulder see below. 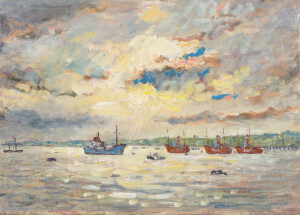 ‘The best watercolors include (…) Piet Mulder’s Low Tide in Harwich, with scruffy small boats, seemingly floating on mud…’ – William Zimmer in the New York Times about the exhibition of Dutch Marine Painting in the Mystic Maritime Gallery (US). 1919 Jacobus Petrus (Piet) Mulder is born on the 1st of november in St. Jansteen, on most the south-western border of the Netherlands, where his father Antoni Mulder (1890-1963) worked as a custom officer. In 1914 at the beginning of the Great War his father was sent from his hometown near Deventer to this Belgian frontier as a young army officer, and in 1918, when the last Germans had left Belgium, his father was demobilized, got his wife over and started a civilian job at the local customs. 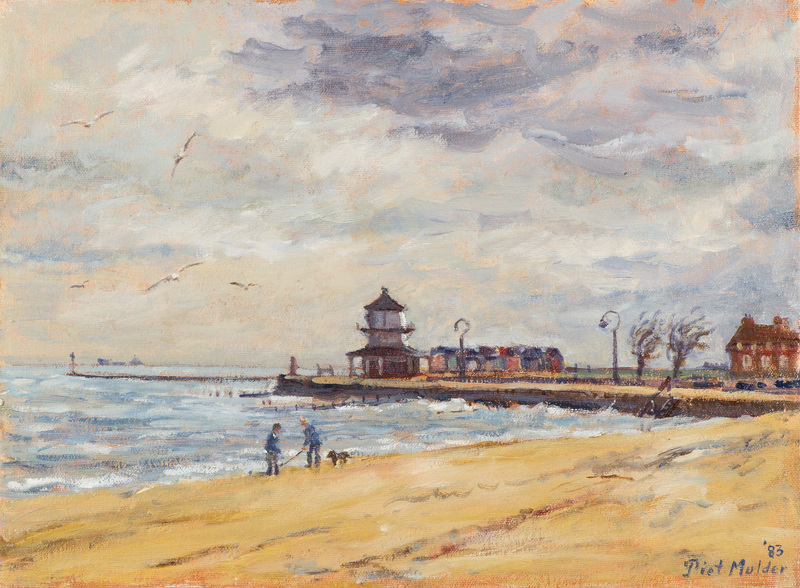 Piet Mulder, Blue boat at Dovercourt Bay Side. Oil on canvas. 1920-1932 The Mulder family often moves, as customs seldom stay long in one place. They live in Rotterdam, Tiel, Winterswijk, Roosendaal and finally in Amsterdam, where Piet visits a secondary school (HBS) on the Nassaukade and a technical institution for future engineers. He loves drawing, but his father wants him to learn a solid job, where he can take advantage of his drawing skills. 1940 The Netherlands are occupied by the Germans, and Piet becomes editor and illustrator of Amoeba, the monthly of the Young Dutch Biologists League (NJN), till this magazine is stopped in 1941 by the German authorities. 1941 Piet Mulder becomes a railway engineer at the head office of the Dutch Railway (NS) in Utrecht, to save him from being sent to Germany, and moves to Utrecht. 1941-1950 Visits in the evening the Art Academy Artibus in Utrecht. 1944-1945 Piet is hiding in Amsterdam during the Great Railway Strike, to help the allied forces in their way to the Dutch north. 1945 Marries with Hanna Hulscher (1922-2013) and moves to Geldermalsen, a village at the former German-allied frontier, where he works with the British Royal Engineers to repair the destroyed bridges and railways. In the evenings and weekends he starts painting memories of the war with displaced persons, portraits of his wife and family and landscapes. 1946 and 1949 A daughter (Els) and son (Reinjan) are born. 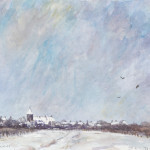 1957 Starts with several artists from Tiel, Leerdam, Gorinchem and Geldermalsen the Art Society Between the Big Rivers. They have many expositions together, make a small magazine and organize model classes. 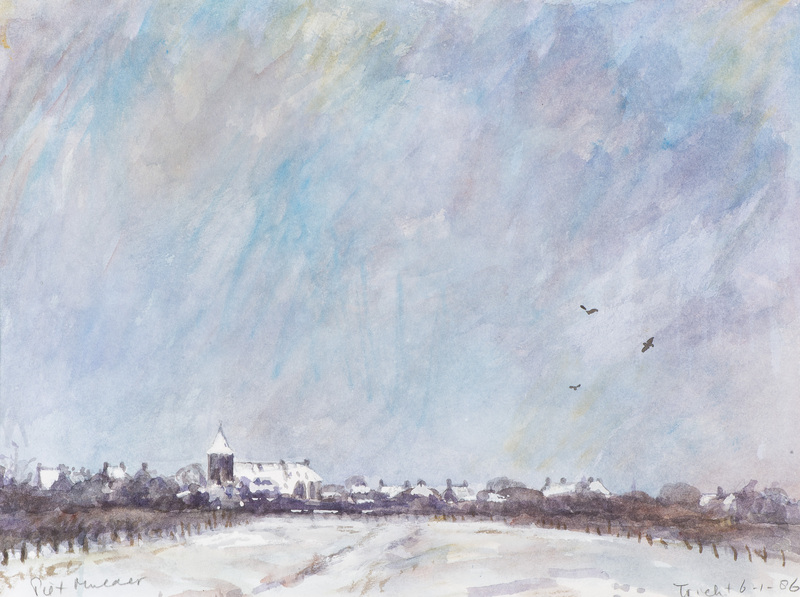 1966 Joins the Art Society in the nearby town of Tiel. 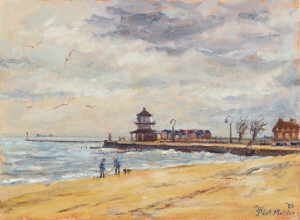 Paints many portraits and landscapes of his direct surroundings. 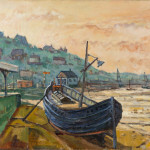 1976 Buys a studio in the Gables, in Dovercourt/Harwich (UK), where he now goes almost every month, to work on the shores of the Orwell, the Stour and the North Sea Harbours. 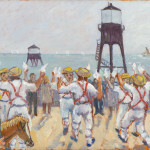 Discovers many British painters (Turner, Constable, Hockney). Dutch Society of Marine Painters, and shows with them marines in museums and galleries in Katwijk, Amsterdam, Rotterdam, Vlissingen, Enkhuizen, Delfzijl, Middelburg, Den Helder, Sneek, Hamburg (G), Mystic (US) and many other towns. 2001 Dies in Geldermalsen at the age of 81. 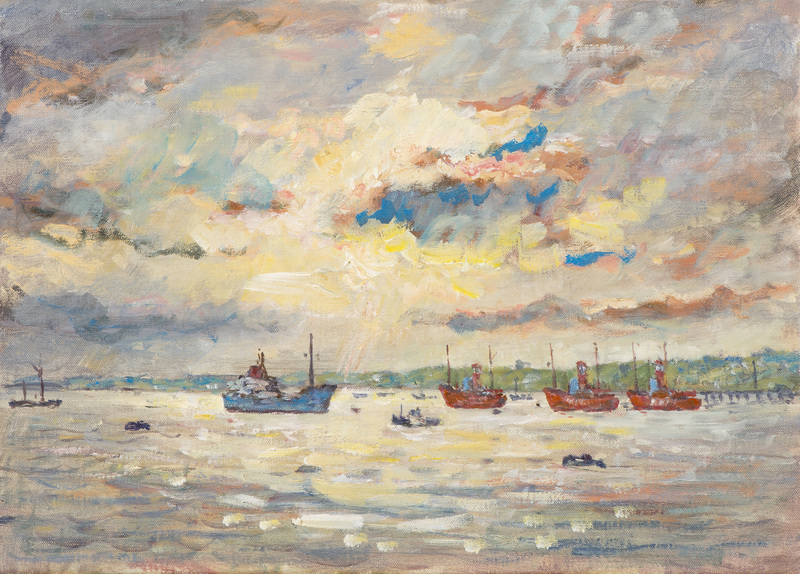 2013 Hanna Mulder dies in Geldermalsen at 91, leaving more than 500 oil paintings of Piet. Her children start an inventarization of the enormous collection. 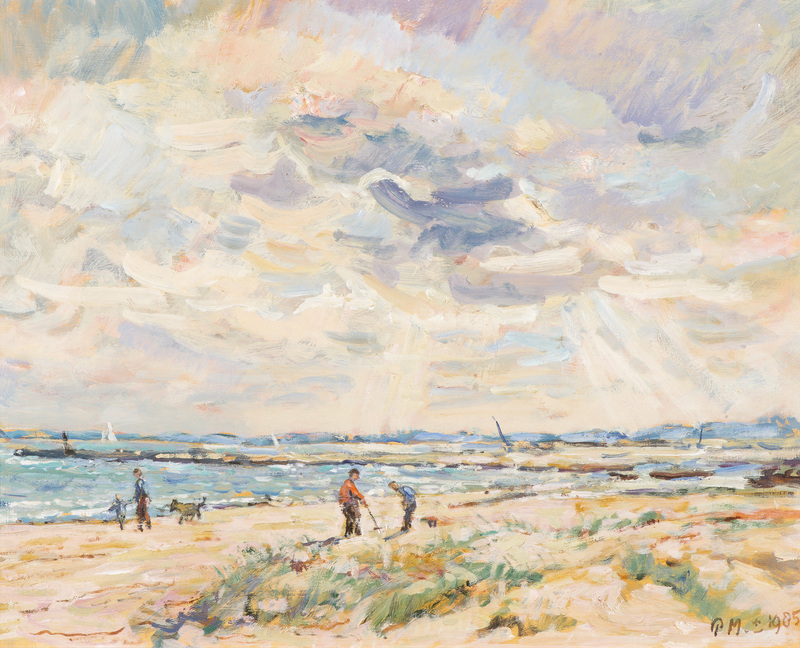 During his lifetime and after his death Piet Mulder had 40 exhibitions of his own and participated in more than 60 expositions in the Netherlands and abroad together with other painters. 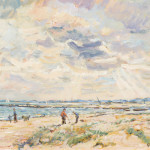 His work is in several Dutch Museums and many private collections.